The US Senate is poised to pass the USA Freedom Act now that major surveillance powers vested in the USA Patriot Act have expired. The House-passed bill, representing a slightly less intrusive spying law, will come to a vote on Tuesday. The Senate let certain parts of the USA Patriot Act lapse, failing to extend then by the June 1 deadline. Among them is the notorious Section 215, authorizing bulk collection of Americans’ telephone data, which a federal court ruled illegal earlier this month. According to government officials, it has been used almost 200 times per year. Other provisions that expired enable the government to conduct “roving wiretaps” of suspects who switch communication devices, or spy on “lone wolf” individuals who are not affiliated with an international terrorism organization. The National Security Agency used Section 215 of the Patriot Act as the basis for collecting vast troves of phone records of Americans, who weren’t necessarily under official investigation. It was also used to track financial data and to obtain companies' internet business records. The extent of the mass surveillance program was revealed nearly two years ago by NSA whistleblower Edward Snowden. Now, the Senate will address a so-called reform bill pushed by opponents of the expiring Patriot Act provisions. 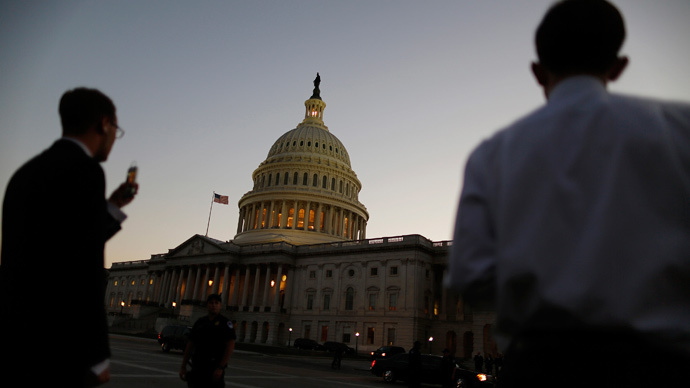 The USA Freedom Act, passed by the House in a 338-88 vote on May 13. Supporters of the USA Freedom Act in the Senate say they are hopeful that the bill will pass this week. "This is a good day for the American people,"said Sen. Mike Lee, a Republican sponsor of the USA Freedom Act. "I do believe we have the votes. The question is not whether we will get this passed, but when." The bill, however, would require phone companies to maintain phone records that the government could later search. The legislation also includes provisions for “roving wiretaps” and “lone wolf” surveillance demanded by the FBI and the US Department of Justice. “This is the only realistic way forward,” Senate Majority Leader Mitch McConnell said Sunday of the USA Freedom Act. McConnell had fought to revive the expiring Patriot Act provisions but was thwarted, in part, by opposition led by Sen. Rand Paul. The “Uniting and Strengthening America by Providing Appropriate Tools Required to Intercept and Obstruct Terrorism” (USA PATRIOT) Act was adopted in October 2001, six weeks after the 9/11 terror attacks. Its most recent extension was in 2011. The law allowed US intelligence agencies to amass bulk collections of various business records that were deemed "relevant" to a national security investigation. Yet, a US Department of Justice Inspector General report released in late May revealed that the FBI “did not identify any major case developments that resulted from use of the records obtained in response to Section 215 orders.” That finding was echoed by both the Obama administration's own Presidential Review Group and the independent Privacy and Civil Liberties Oversight Board. The law's critics, such as Senator Paul, say the Patriot Act's surveillance powers amounted to a deep government intrusion into the lives of innocent Americans. The USA Freedom Act would move the responsibility of holding phone records to private companies. Intelligence agencies like the NSA would then ask the companies for specific data on an individual allegedly connected to a terror group or foreign nation. The Act also requires heightened transparency measures associated with government data searches, and it would allow tech companies to be more forthcoming regarding how many times they are tapped for data by government agencies. The bill also offers more access to case opinions made by judges of the secretive Foreign Intelligence Surveillance Court, which has oversight over surveillance of suspects overseas. The bill was first introduced in 2013 after whistleblower Edward Snowden's leaks revealed the Section 215-fueled bulk phone metadata collection program. Others have pointed out that the USA Freedom Act will not address other surveillance powers the government can employ. Should the Senate approve the reform bill, “it’ll be suspicionless spying as usual until the next big surveillance provision, section 702 of the FISA Amendments Act sunsets at the end of 2017,"said Jennifer Granick, director of Civil Liberties at the Stanford Center for Internet and Society. Edward Snowden revealed the government uses Section 702 of the FISA Amendments Act to authorize digital surveillance on foreign persons, which, tech experts say has involved exploiting security weaknesses on behalf of the government and, as a result, secretly undermining the protocols meant to protect online activity. Several civil liberties advocates are strictly opposing the USA Freedom Act because it does not go far enough in curbing unchecked surveillance. "The sacrifices made by the USA FREEDOM Act of 2015 are unacceptable," wrote several groups and intelligence community whistleblowers in a letter urging a vote against the reform bill. "The modest changes within this bill, in turn, fail to reform mass surveillance, of Americans and others, conducted under Section 702 of the FISA Amendments Act of 2008 and Executive Order 12333. Given intelligence agencies’ eagerness to subvert any attempts by Congress to rein in massive surveillance programs by changing the legal authorities under which they operate, the modest, proposed changes are no reform at all."